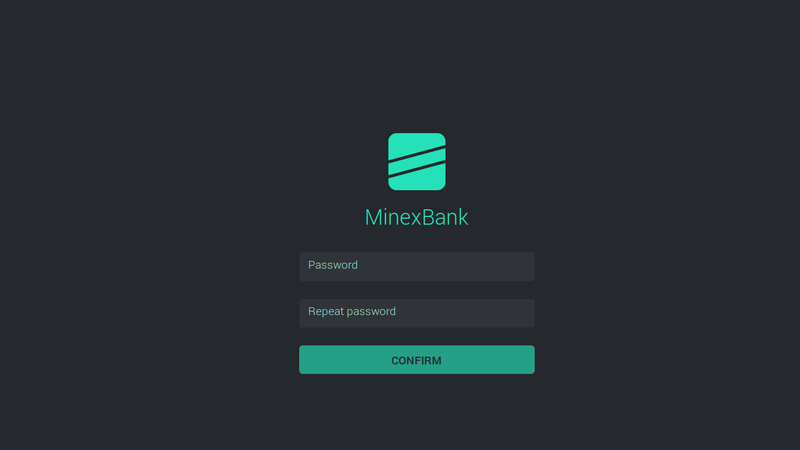 To recover the MinexBank password you need to follow almost the same steps as you did when registering in the bank, i.e. sign a message in the wallet. Click “Forgot your password?” link. 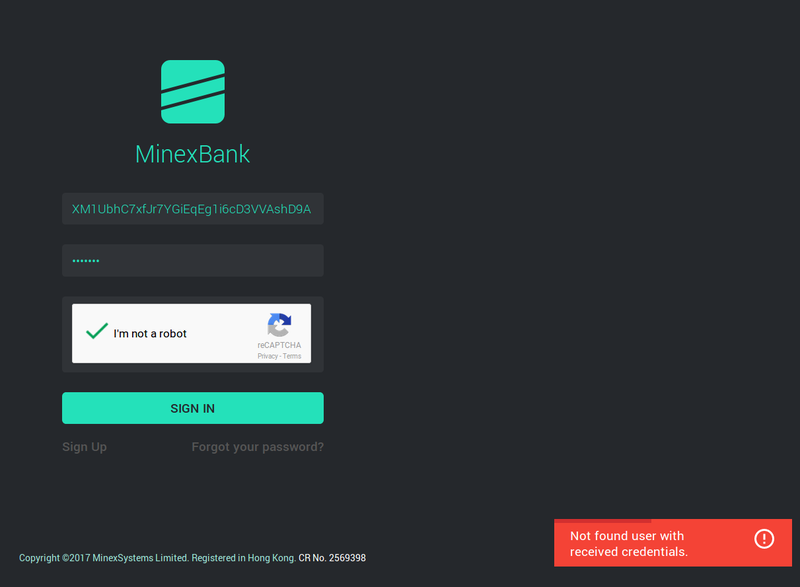 Copy the address linked to your bank from the wallet (menu File - Receiving Addresses). Go to menu File - Sign Message. Paste the address you have just copied. 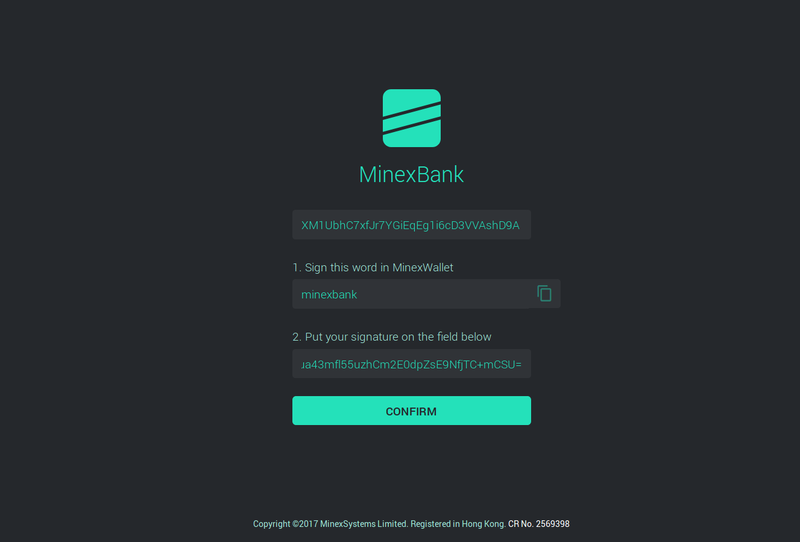 Write minexbank in the large text box (without any brackets). Copy the symbols’ combination from the Signature. Insert the Signature to the field 2 in the password recovery form of the bank. You will then see the next screen for creating and entering a new password and confirming it.